The 19th century witnessed a wave of emigration from Europe to the Americas and the creation of an entire industry focused on catering to the needs of European emigrants. The sailing of the SS Austria on September 1, 1858 should have been just another trans-Atlantic voyage, however, twelve days later one of the worst maritime disasters of the 19th century would strike the ship and her passengers and crew. Departing from Hamburg with 548 passengers and crew, the ship was only a year old and one of the most modern steam ships in the service of the Hamburg American Line. Around noon on September 13, the crew began to fumigate the steerage passenger area. A handling mishap of the fumigation equipment by a member of the crew led to a mariner’s worst fear – fire aboard the vessel. 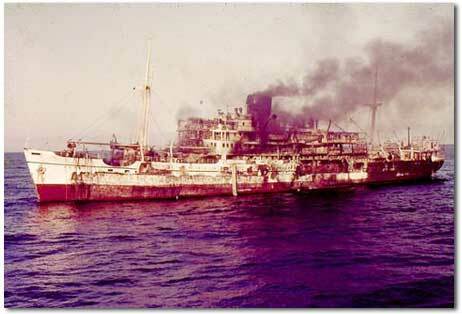 The vessel was a veritable tinderbox between its wooden construction and highly varnished and flammable décor. 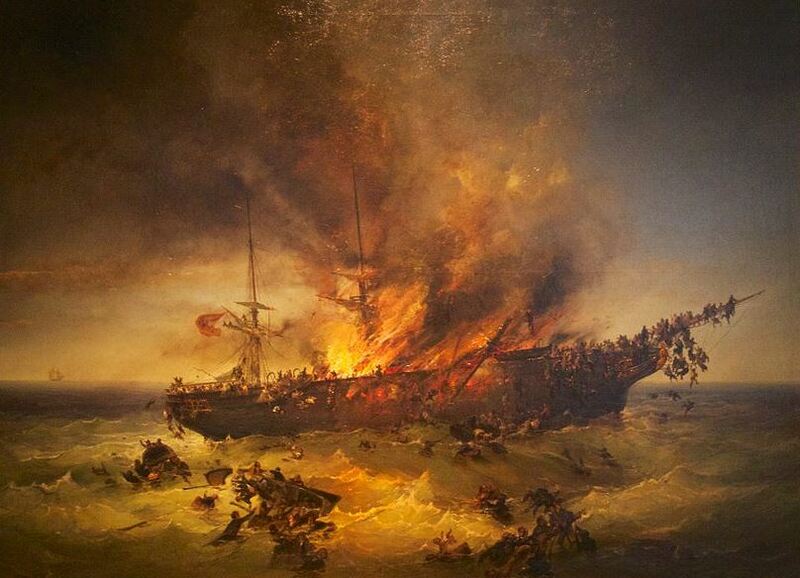 The fire quickly spread throughout the Austria and when the helmsman abandoned the bridge, flames raced down the entire ship as the ship turned into the wind. With nowhere to go but the sea, the passengers and crew flung themselves to the mercy of the waves. Two vessels, the Maurice and Catarina picked up 65 survivors, but, sadly, the remainder of the 538 original passengers and crew perished. On May 4, 1866, the American built barque General Grant departed Melbourne, Australia for London with 58 passengers and 25 crew. Among the passengers were several miners returning home and the cargo manifest listed an official load of 2,576 ounces of gold. Nine days out of Melbourne, the General Grant came upon the Auckland Islands, however, weather conditions prevented the ship’s crew from rounding the islands. Late in the evening, the ship collided with the island’s cliffs and drifted into a large cave where it eventually sank from the main mast being driven through the ship’s bottom from being tossed into the roof of the cave. 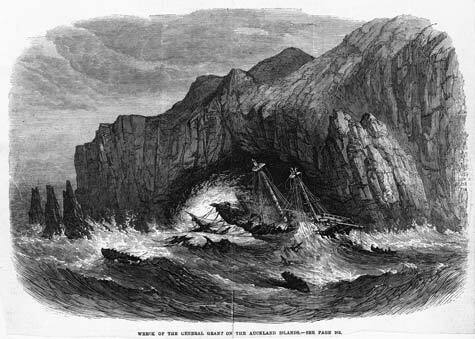 Despite the ship’s being beaten against the roof of the cave by a rising tide, the passengers and crew chose to spend a perilous night aboard the vessel and try to escape in the morning. Only fifteen souls of the 83 aboard were able to leave the vessel safely and they soon found themselves on the aptly named Disappointment Island before rowing on to Port Ross. For the next nine months the survivors watched and waited for a passing ship to rescue them, but none came. Exasperated, four of the fifteen attempted to sail for New Zealand but were never heard from again after leaving Port Ross on January 22, 1867. Nearly eight months later the survivors were finally rescued by the brig Amherst. The General Grant was not done taking lives, though, as 29 salvors died in their vain attempts to locate the ship and its cargo of gold. To this day the ship remains undiscovered with her $3,000,000+ gold cargo lying somewhere at the bottom of a treacherous cave on Auckland Island. The late 19th century and early 20th century were the heyday of luxury trans-Atlantic steamship travel. Among the numerous liners plying the waters between New York City and Liverpool was the RMS Umbria, a Cunard luxury liner. Launched in 1884 the Umbria and her sister ship Etruria were named for regions of Italy and reflected the Victorian obsession with all things Egyptian, Greek or Roman. 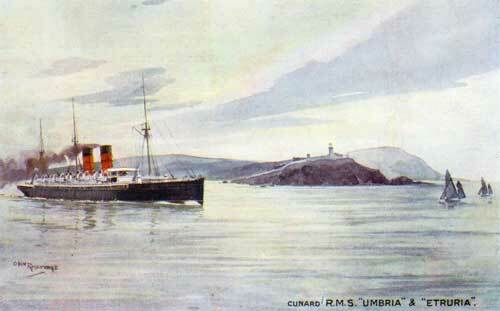 The two vessels were the last liners built for the Cunard line with auxiliary masts that could be rigged for sailing. Additionally, they were designed for easy conversion to armed merchant cruisers in the event of war. Both Umbria and Etruria held the westbound Blue Riband at points in their careers for being the fastest vessels on the Europe to New York journey. Arguably the most intriguing anecdote in the Umbria‘s career was her being the target of a bomb plot by the Italian Mafia. On May 9, 1903, a letter was delivered to the New York police claiming a bomb had been placed aboard the Umbria. Incidentally, the chivalrous bombers claimed they had originally planned to target the RMS Oceanic but changed targets because Oceanic contained too many women and children. The police acted swiftly to prevent Umbria from sailing and a search of the ship revealed a 3×2 foot box filled with 100lbs. of dynamite and a fuse. The bomb was defused and police traced it back to the Mafia Society in Chicago. The ship sailed for Liverpool after only a short delay. By the time of her scrapping in 1910, the Umbria had served the Empire twice as a troop ferry and auxiliary warship, been disabled in the North Atlantic, grounded herself on the wreck of a coal barge and even sunk another steam ship in a collision. 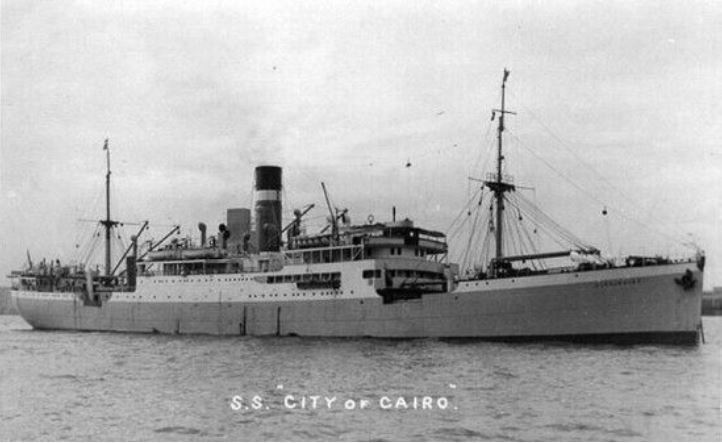 Before the advent of cheap air transportation to and from the Middle East, medium size liners such as the M/V Dara transported both cargo and passengers to and from Europe, India and the Middle East. The Dara, soon to become like another British India Steam Navigation vessel, specialized in moving ex-pat workers between worksites in the Middle East and Bombay. During a port stop in Dubai on April 7, 1961, a brisk storm beset the port forcing the Dara to stand out to sea in the middle of unloading. In doing so, the ship carried with her passengers and non-passengers alike. Early the next morning, around 4:40 am an explosion ripped through the bowels of the ship sparking a serious fire that swept through the ship. Panic ensued among those aboard and 238 passengers, crew and shore staff died in the mad scramble to get aboard lifeboats. Vessels from multiple navies along with a civilian salvage tug responded to the explosion and the vessel remained afloat for some time. While under tow, though, the ship slipped beneath the waves in only 100 feet of water. Thus the Dara has become a semi-popular wrecksite as its topmost wreckage is only a few feet below the waves. Although an exact reason for the explosion has never been ascertained, it is widely believed Omani rebels slipped an anti-tank mine aboard the vessel. Not only was this a common bomb technique among the Omani rebels who had been driven out by the British in 1959, but also Royal Navy divers found evidence of an anti-tank device aboard the wreck. Despite this evidence, it has never been conclusively been proven who was responsible for the deadly attack. New Addition to Disney’s Pirates of the Caribbean Ride? Norwegian company NorSafe test drops a lifeboat from record-breaking 220 feet. More info here. Today marks the 31st anniversary of the triumphant return of the SS Canberra to Southampton upon the successful conclusion of the Falklands War. 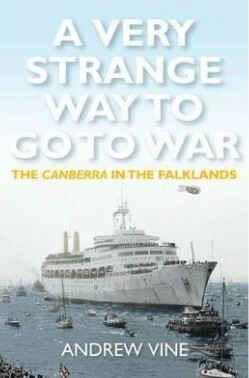 In his new book, A Very Strange Way to Go to War , author Andrew Vine replays for the reader the high drama of the sailing of the Canberra, a modern day cruise ship, into the very teeth of enemy action. Readers are walked through the early days of the P&O liner Canberra and her transition from ocean liner to cruise ship and her convergence with the Royal Navy and Merchant Navy as the Falklands were invaded. Vine strings together a fascinating tale of the preparations aboard the Canberra for her use as a troop ship for Royal Army Paras as well as Royal Marines and subsequent sailing into the combat zone surrounding the Falklands. Among the strengths of Vine’s writing are his ability to paint a broad picture of the Falklands conflict for readers who may be unfamiliar with its details 31 years on while still integrating micro-level social history from interviews with participants in the action. Vine’s writing makes for very interesting reading, and while the book might have benefitted from being fifty pages shorter, A Very Strange Way to Go to War remains an excellent book both for those looking for a unique history of the Falklands War or maritime history.